Porsche is partnering with German startup "Kopernikus Automotive” to install an autonomous driving test field within the automaker's Ludwigsburg workshop. Unlike other automakers that are testing autonomous cars in real-world driving conditions, Porsche's test will serve a different purpose. The goal of the partnership is to develop autonomous cars capable of driving themselves from a parking spot to a lift, where mechanics can then service it. Porsche envisions a dealer service center where mechanics can tell a car to arrive at a lift using a tablet. This will free up time typically taken by the mechanic or a lot porter to bring the cars into the service bay. "Autonomous driving will revolutionize our road traffic in just a few years. 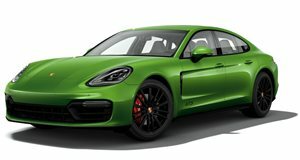 However, we can already use the technological possibilities available today to make work processes even more effective and efficient,” said Alexander Haas, Project Manager for Automated Driving at the Porsche workshop. The project will begin by virtually mapping out the workshop so the cars will know exactly where to drive. After the facility is mapped out, the cars will be tested under real-world conditions. "Our team will experience the use of autonomous driving in the workshop in test operation and we want to learn from the team’s feedback,” said Thomas Eckert, Head of Product Influencing in Aftersales. 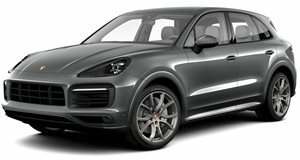 This test will mainly be to the benefit of Porsche mechanics but we can eventually see this technology trickling out to the consumer. Imagine being able to get out of the car at your destination, then having it find a parking spot by itself. Porsche purists may object but we think the idea sounds pretty cool.